Acceding to the Chief Minister’s request, Punjab Vidhan Speaker on Tuesday constituted a House Committee under the Chairmanship of Cabinet Minister Sukhjinder Singh Randhawa to probe SAD president Sukhbir Singh Badal’s allegations of a meeting between Captain Amarinder Singh and Sikh preacher Baljit Singh Daduwal at the former’s residence. 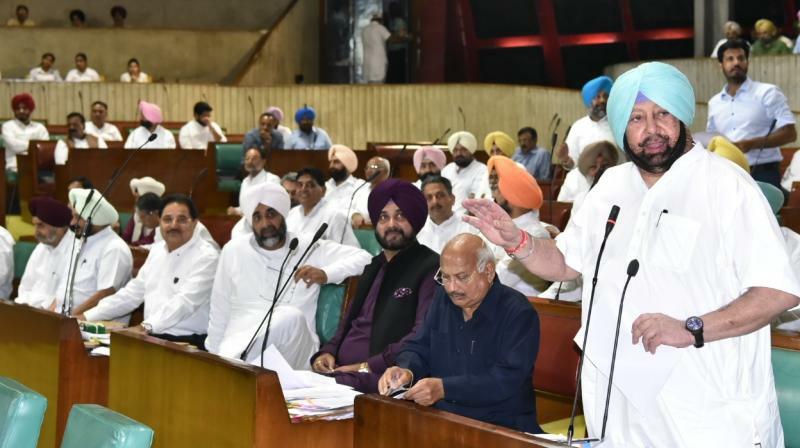 Intervening on the issue raised by SAD MLA, Captain Amarinder Singh described Sukhbir as a “master of disinformation” as he had misled the House by furnishing wrong information. The tower locations released by Sukhbir did not even exist, he said, adding that the Akali leader was clearly aimed at spreading misinformation. On the photograph showing him with Daduwal, which Sukhbir had flaunted, the Chief Minister said it was clicked during a meeting with a delegation that came to meet him at Punjab Bhavan. It was not a secret meeting and was widely covered by the media, he said. The delegation had consisted of political leaders from different political parties, such as UAD, SAD (Mann), SAD (1920), who had come with a charter of demands, including detection of sacrilege cases & arrest of those involved in sacrilege/desecration,) release & transfer of TADA detenus who continue to be in Jails both in Punjab Jails and outside despite having served their sentences, among other things. Daduwal came along with the delegation of these leaders, he added. The fact was that if five persons of similar build and physique were made to stand with Daduwal, he would not be able to identify him, said the Chief Minister, adding that the inquiry by the House Committee would nail Sukhbir’s lies and ascertain the truth of the matter. Pointing out that his official residence was under strict CCTV surveillance, the Chief Minister dared Sukhbir to get the footage checked. Meanwhile, AAP MLA Harwinder Singh Phoolka lashed out at Sukhbir, saying there was nothing wrong in the Chief Minister meeting Daduwal in case such a meeting had taken place, since Daduwal was facing threats and had every right to approach Captain Amarinder Singh on the issue. 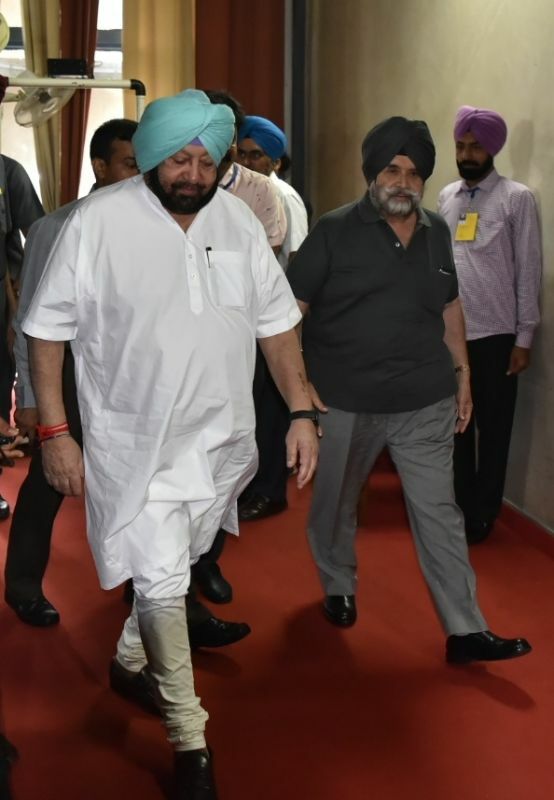 Earlier, Captain Amarinder Singh proposed the constitution of a House Committee to investigate Sukhbir’s charges, which was allowed by the Speaker Rana Kanwarpal Singh and endorsed by members of Aam Aadmi Party. On Monday, the Chief Minister had lashed out at the Shiromani Akali Dal (SAD) president for attempting to mislead the House with his unfounded charges. The allegations were made by Sukhbir soon after the government tabled in the House the Justice (retd) Ranjit Singh Commission report into the sacrilege cases. The report was earlier accepted, along with Action Taken Report (ATR), by the state cabinet at a meeting chaired by the Chief Minister. The Cabinet gave its formal nod to the tabling of the report in the House. 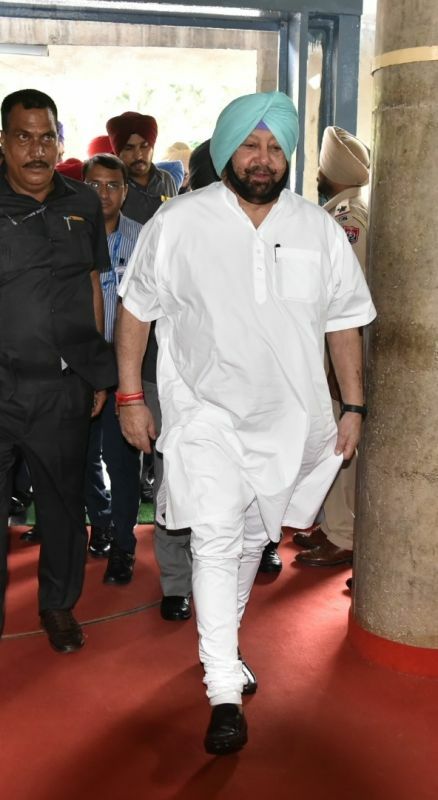 Asserting that he had never met Daduwal and does not even recognize him, Captain Amarinder Singh said in response to Sikhbir’s allegations that when he had gone to Bargari after the police firing, he was told that the Sikh preacher was also sitting there. But he had neither seen nor ever met him personally, said the Chief Minister. Captain Amarinder Singh said the Akalis were merely indulging in cheap gimmicks now to divert public attention from their misdeeds of 10 years, particularly the incidents of sacrilege which they had failed to check during their rule. He challenged the Akali leaders to join the debate on the report and not run away from it, as they had been doing on key issues in the past.